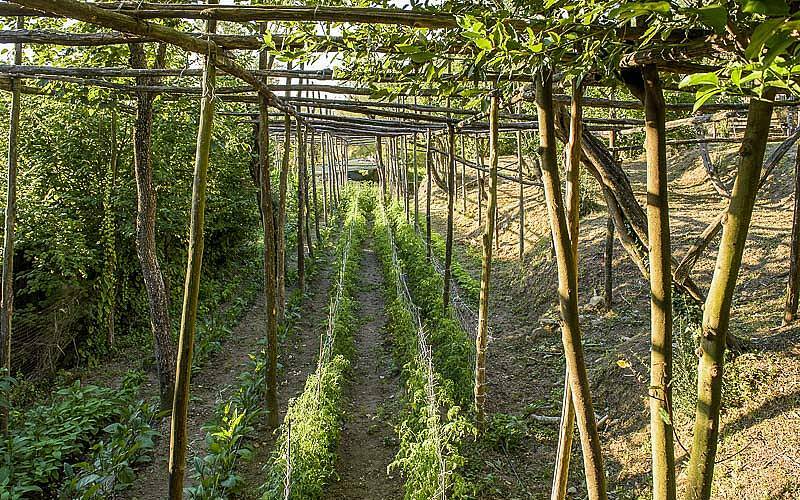 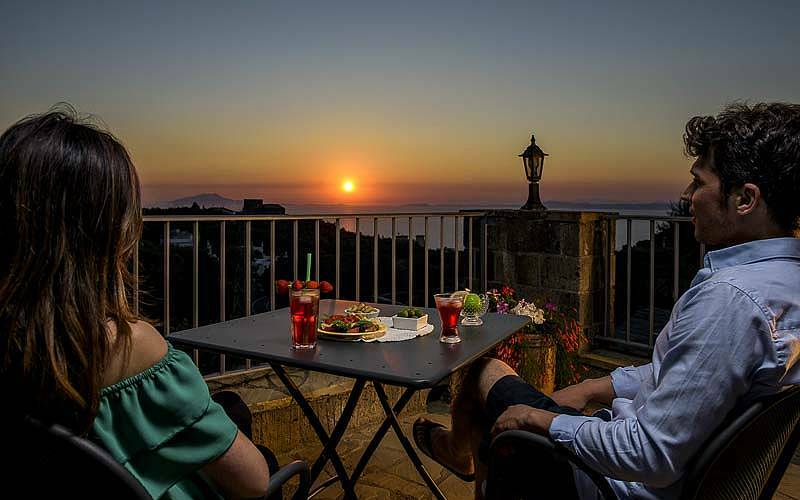 There is a side to Sorrento which is almost unknown, far from the beaten path and bustle of the historic center of town where most tourists concentrate their visit. 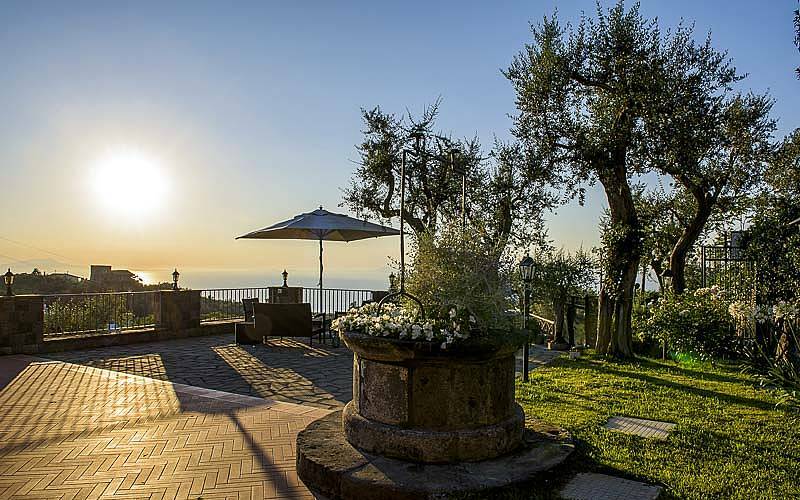 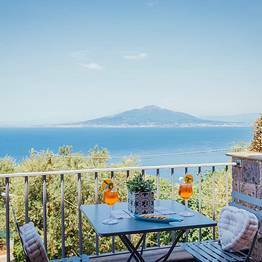 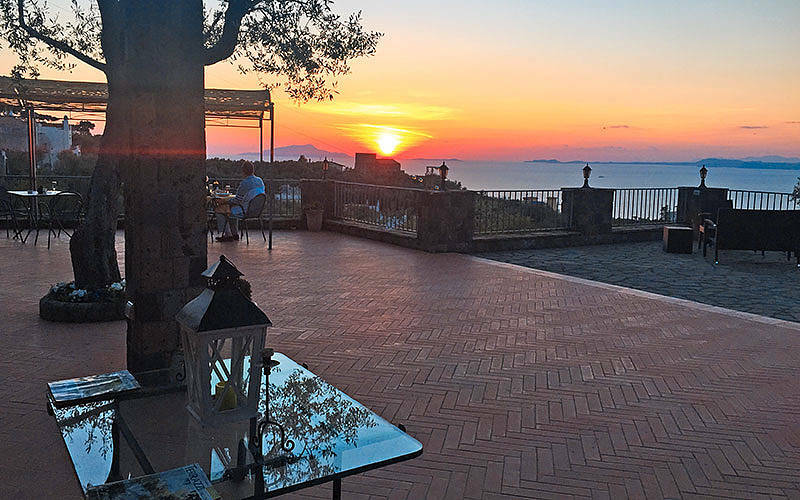 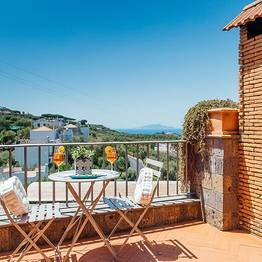 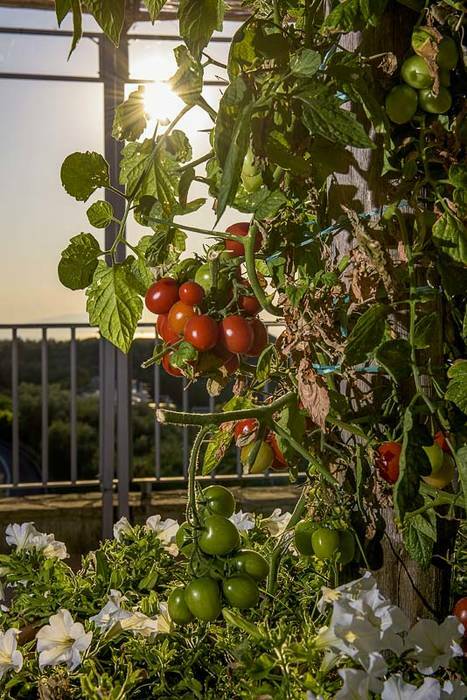 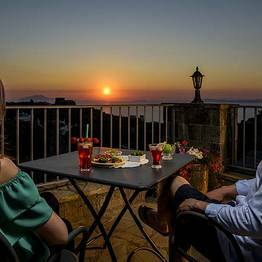 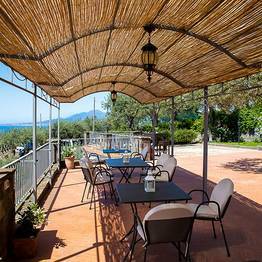 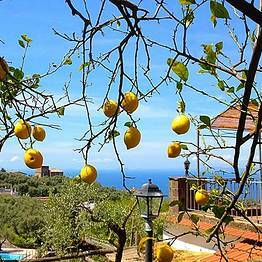 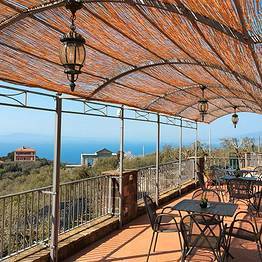 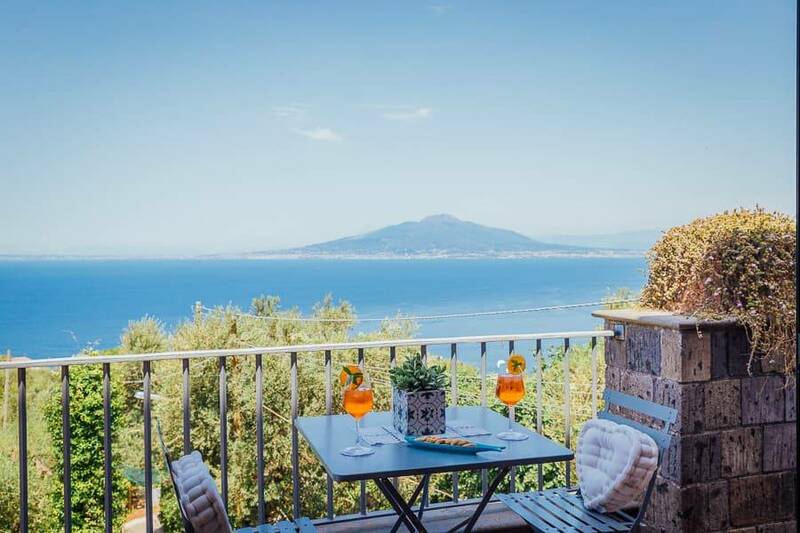 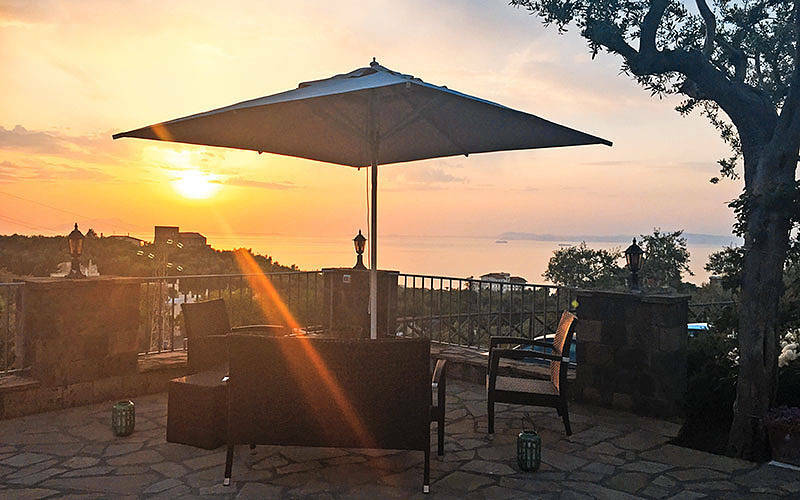 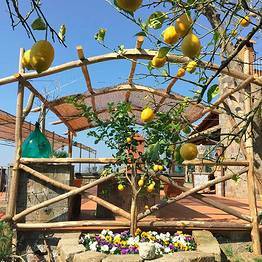 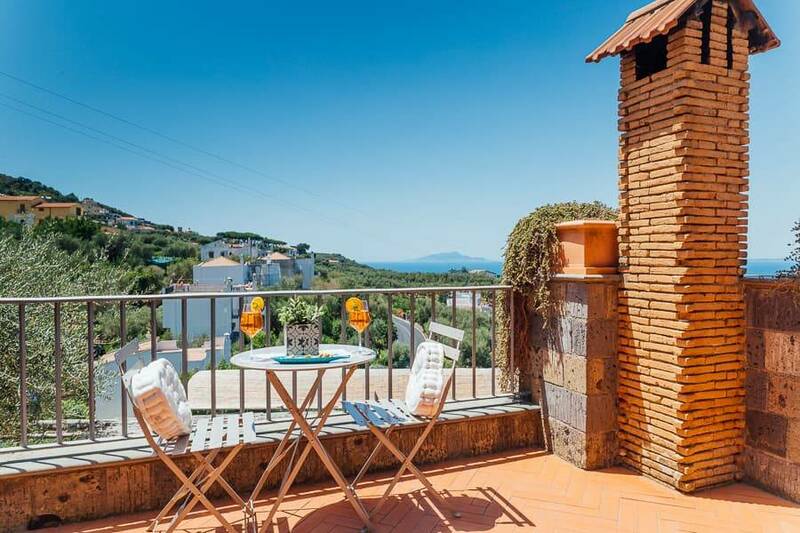 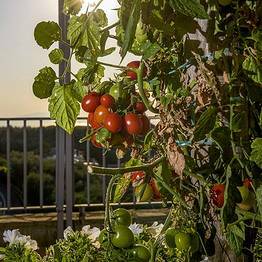 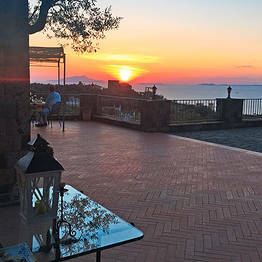 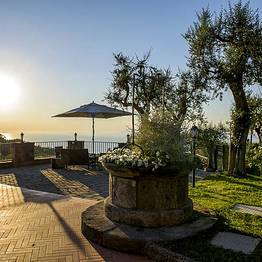 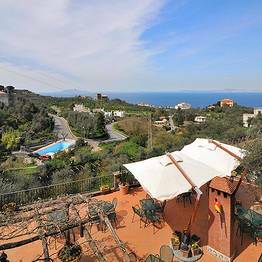 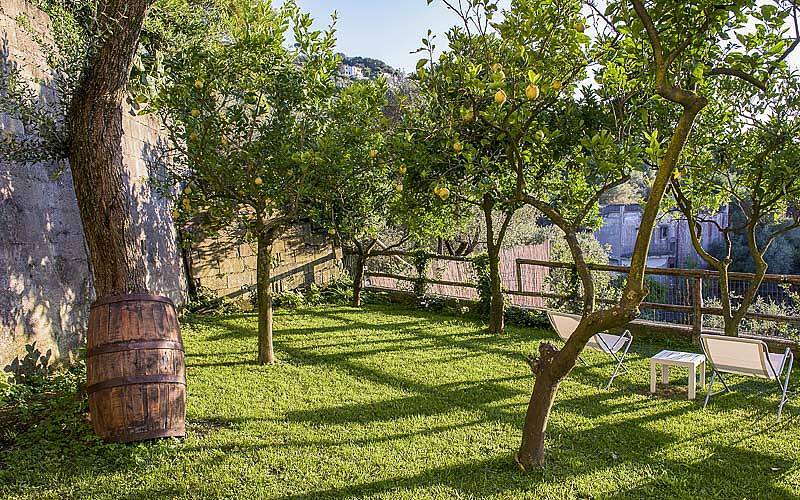 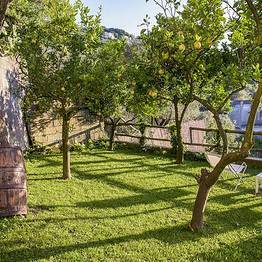 This is the Sorrento of the hilltops overlooking the sea, of fragrant gardens of citrus trees, of slow-paced days and nights where you can savor a completely relaxing holiday. 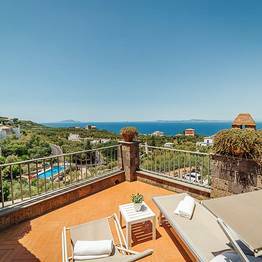 This is the Sorrento of Villa Carolina, the country house tucked in the lush hillsides of Priora just 4 kilometers from Sorrento. 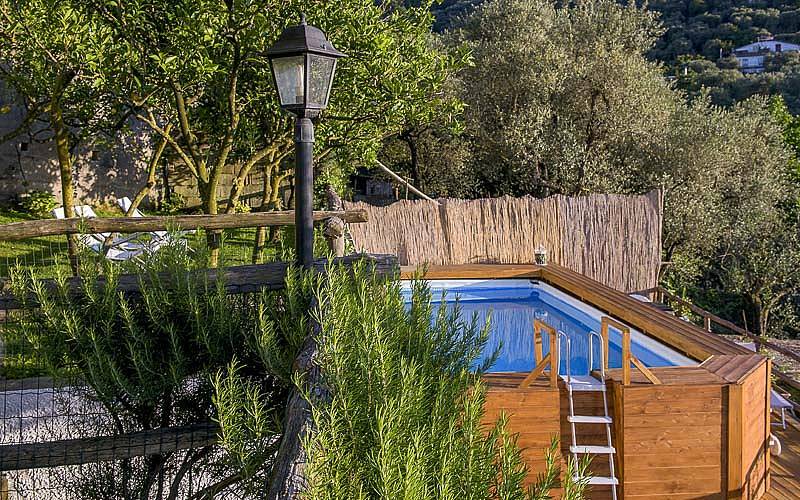 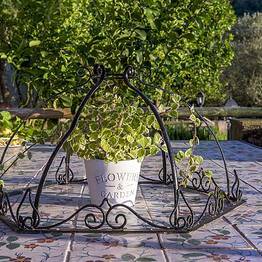 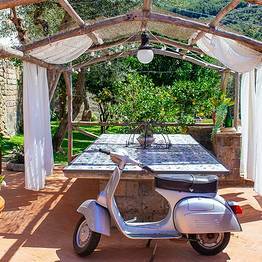 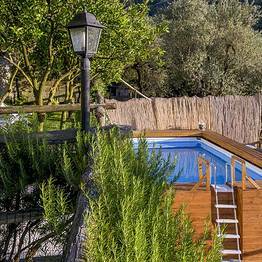 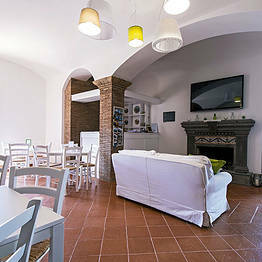 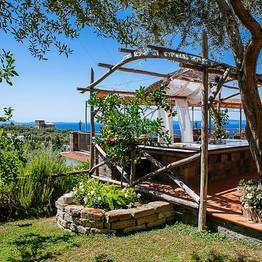 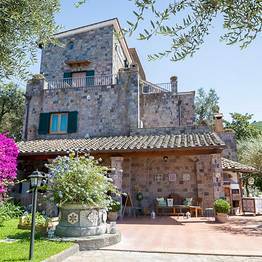 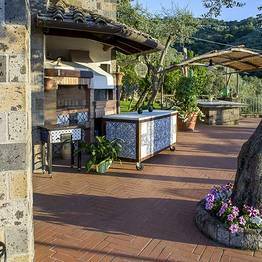 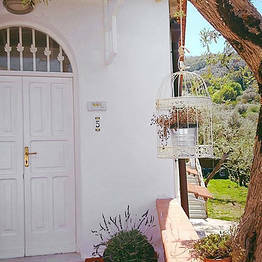 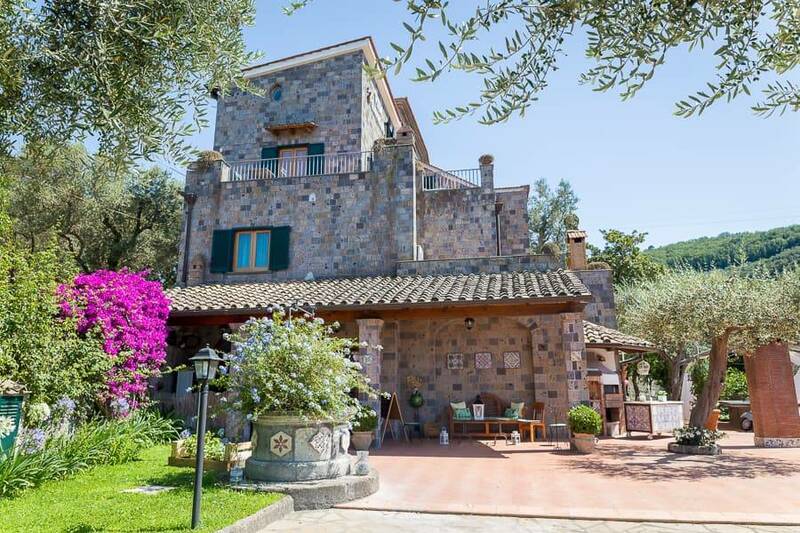 Villa Carolina is a historic stone farmhouse which has been lovingly restored using eco-compatible materials. 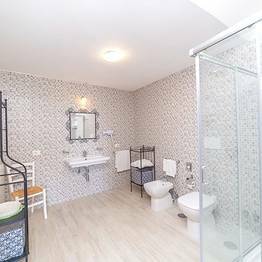 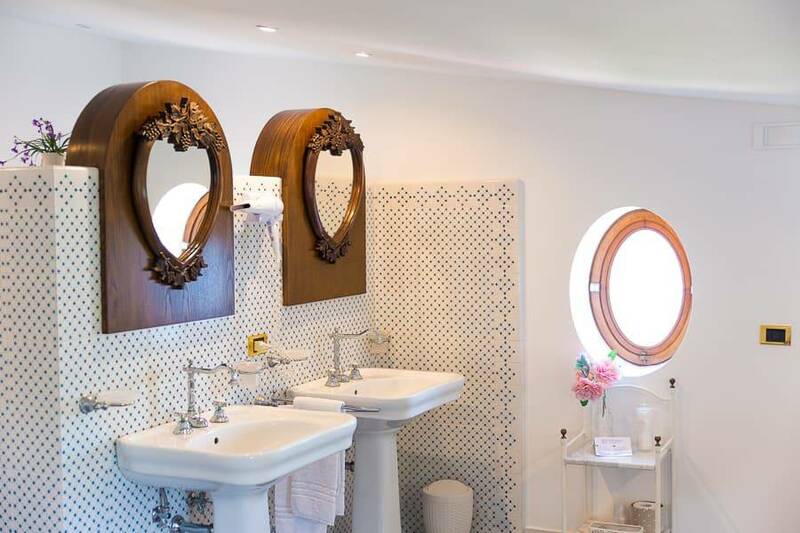 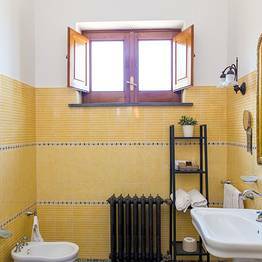 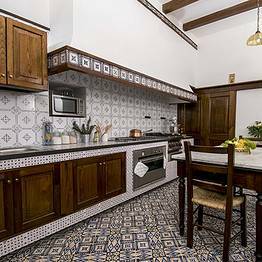 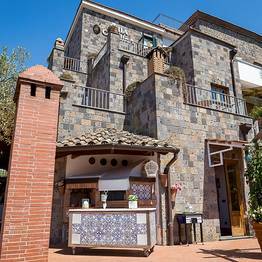 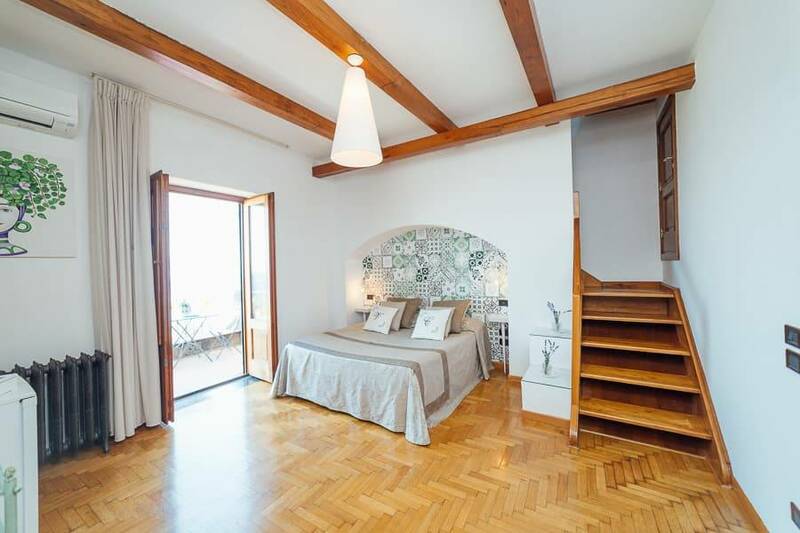 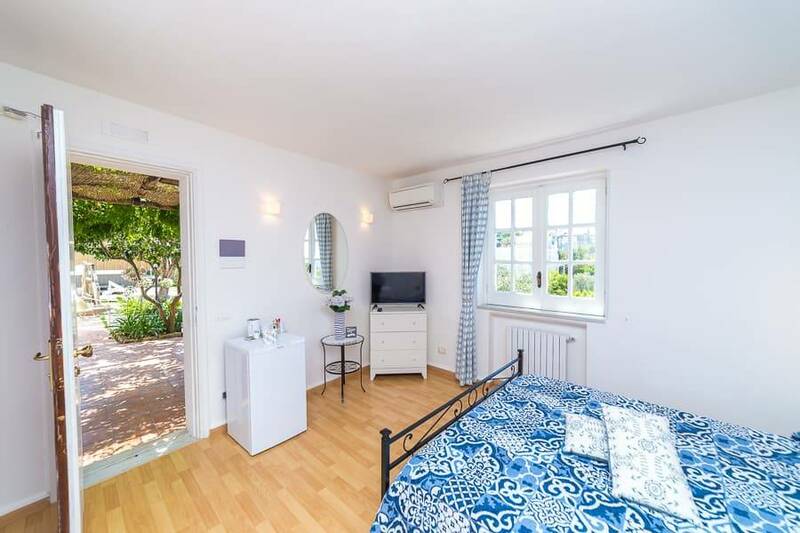 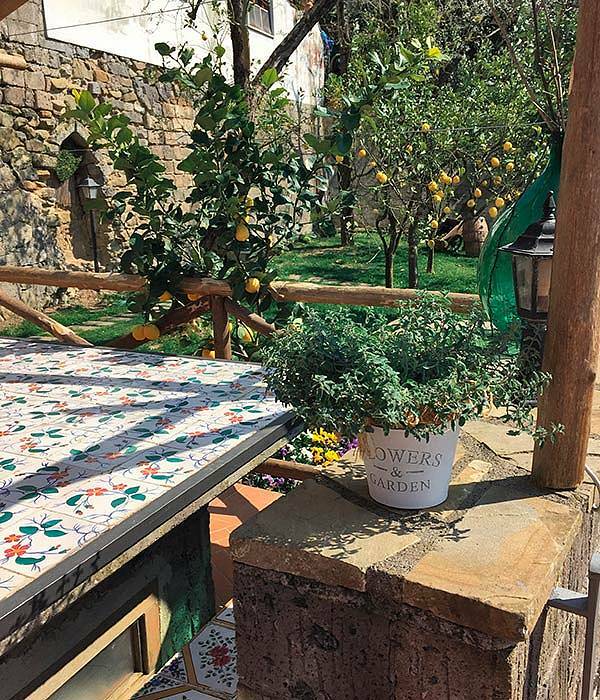 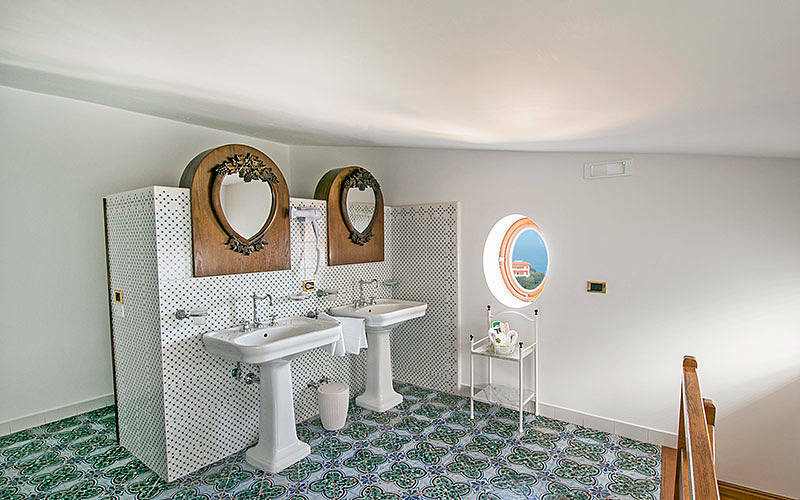 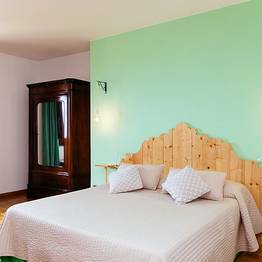 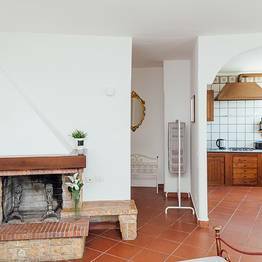 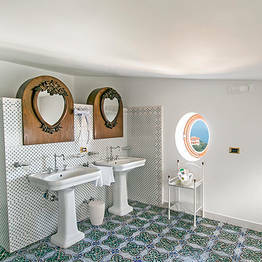 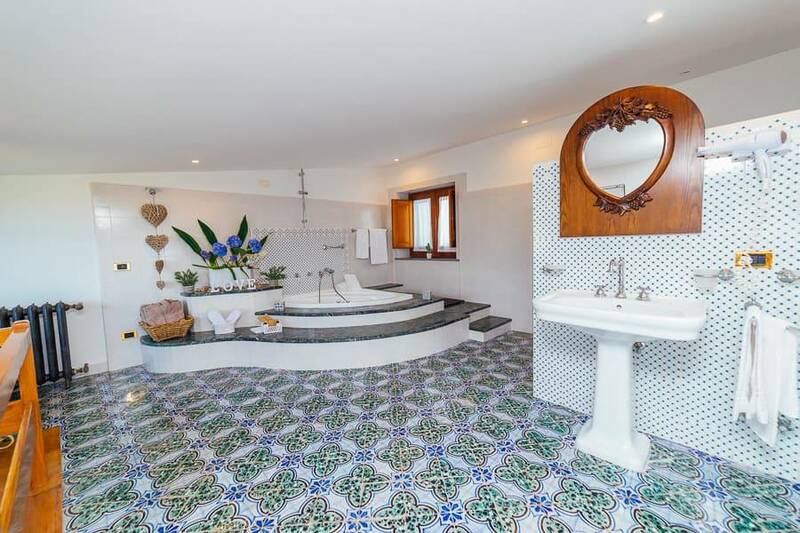 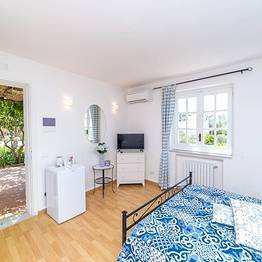 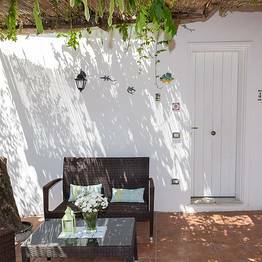 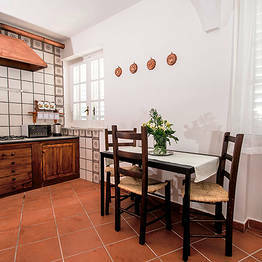 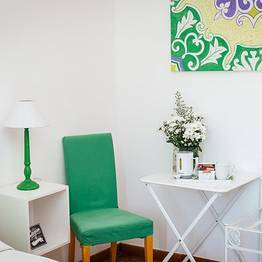 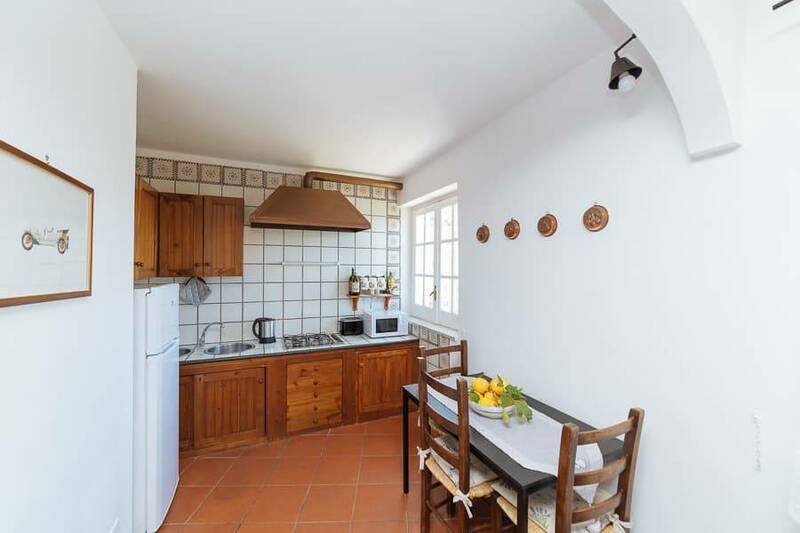 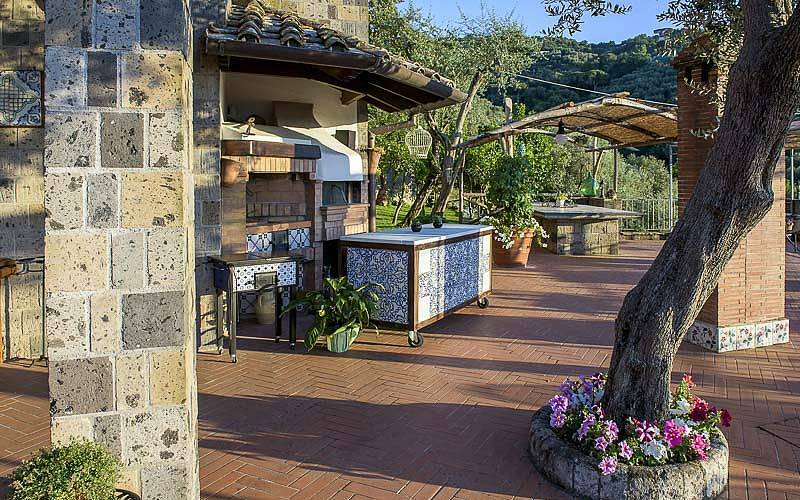 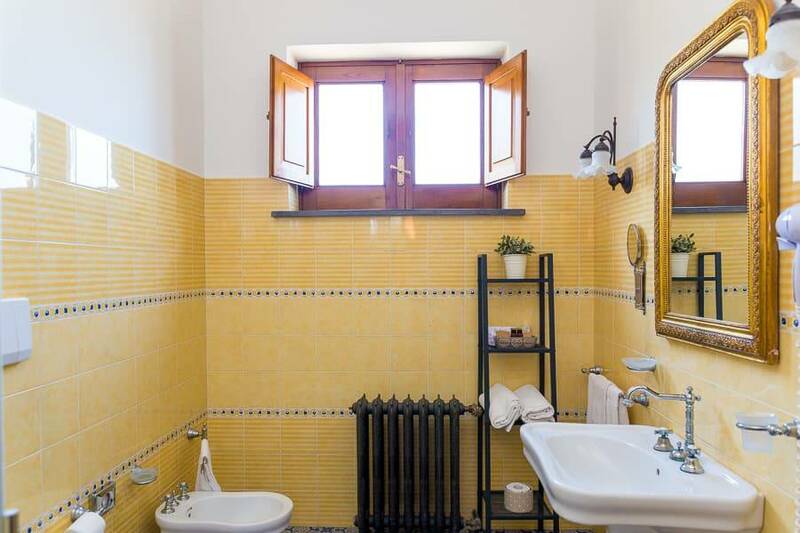 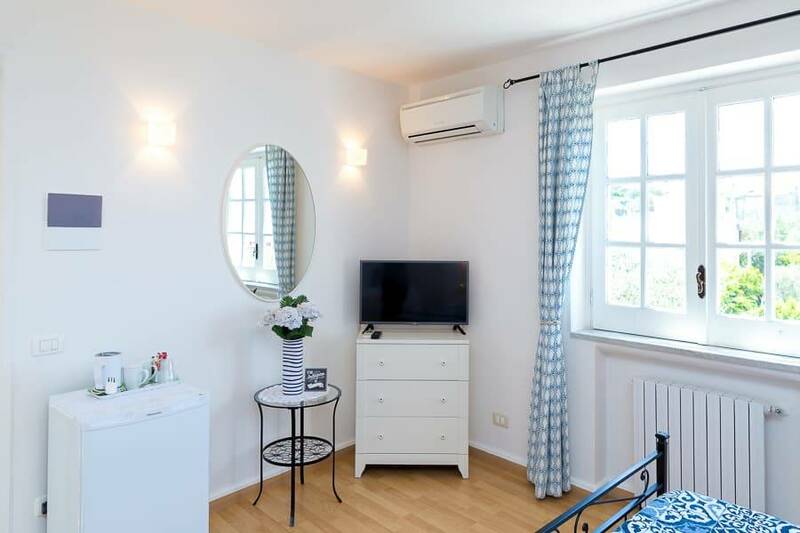 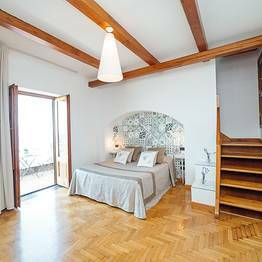 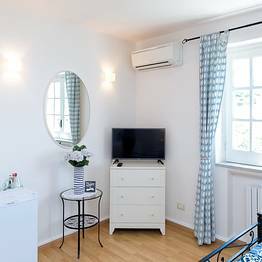 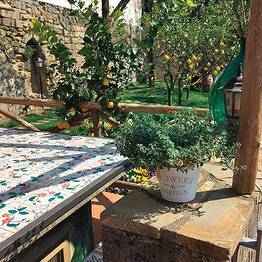 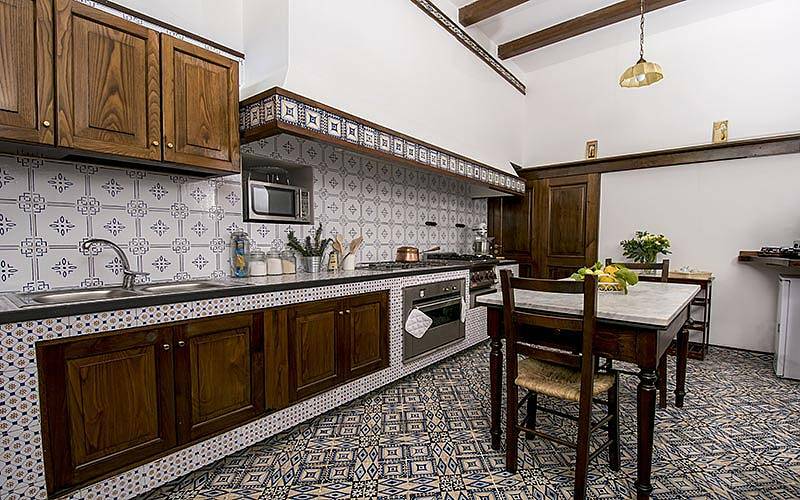 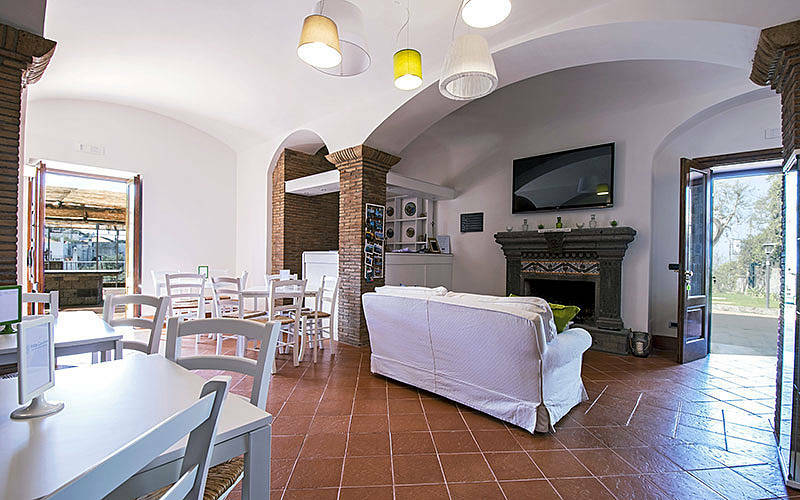 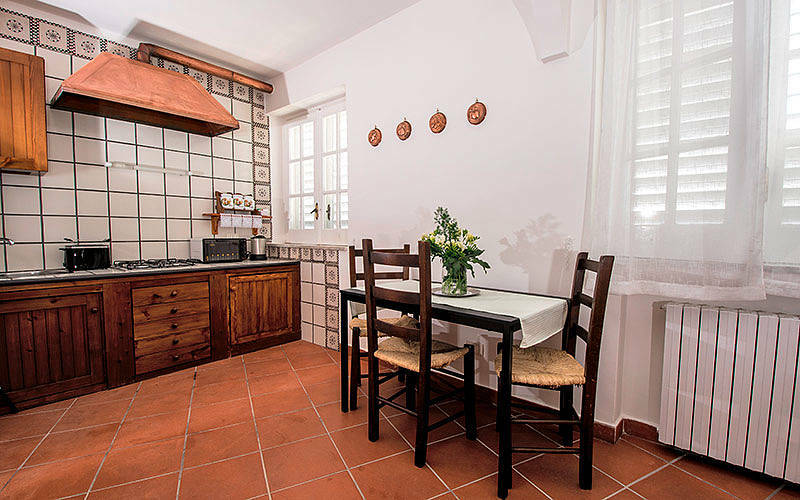 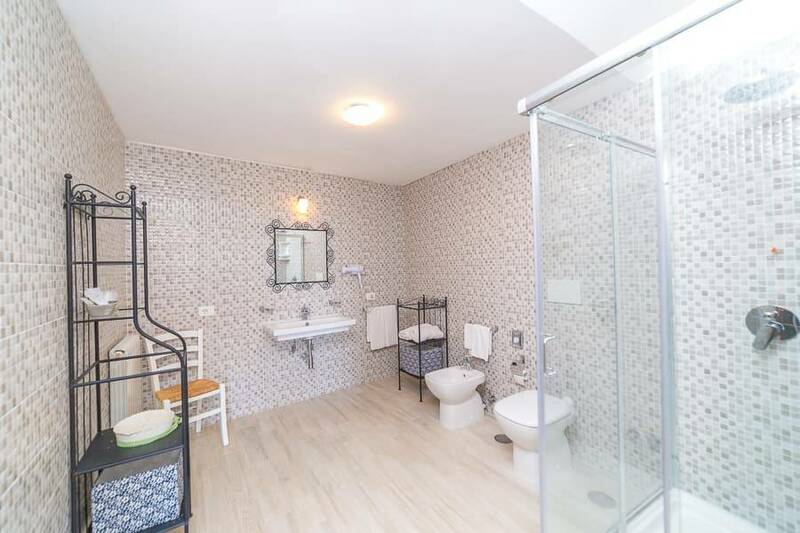 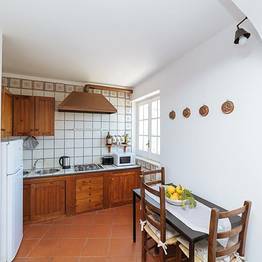 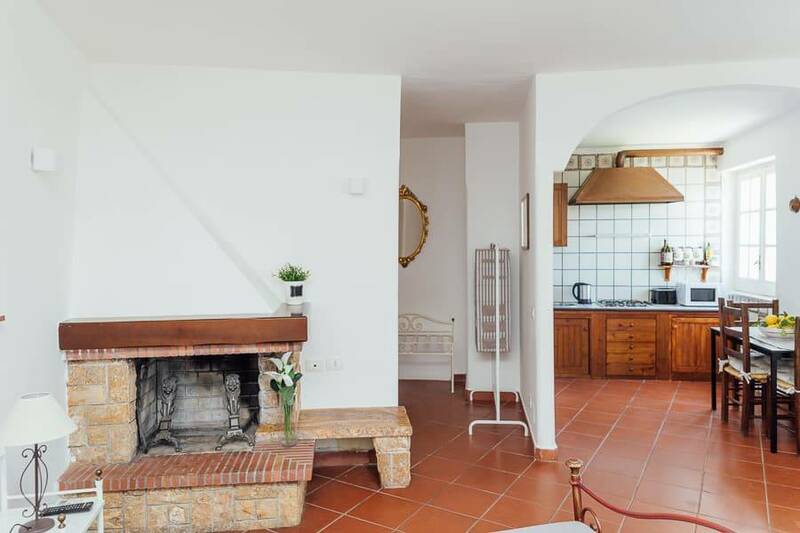 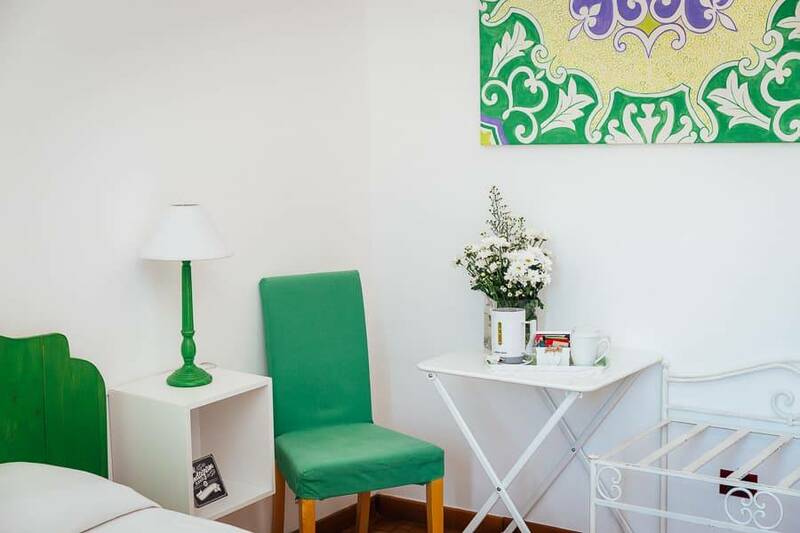 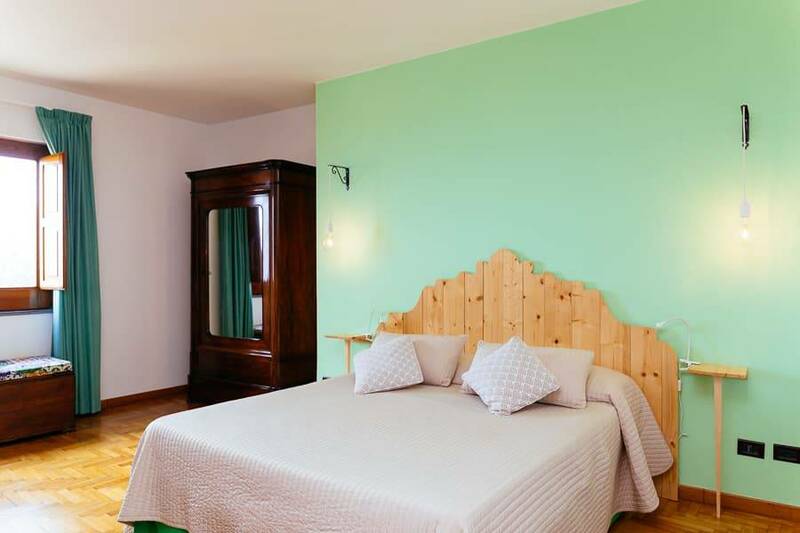 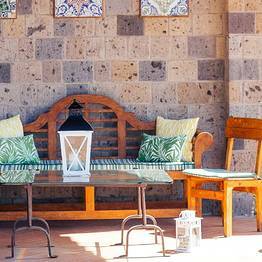 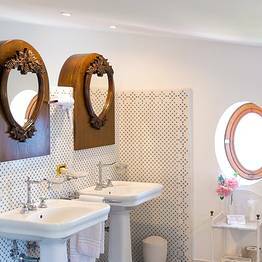 The welcoming guest rooms, large kitchen, and common living spaces have been furnished in a shabby-chic style which seems almost Provençal but features design elements which recall southern Italy, including handpainted majolica tiles. 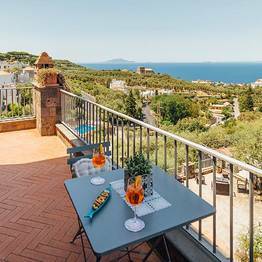 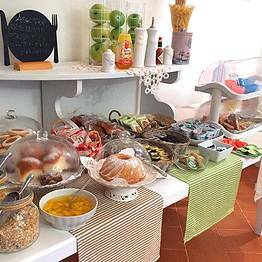 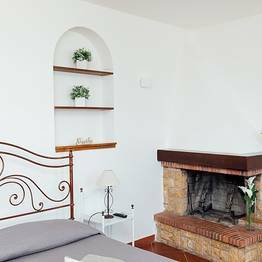 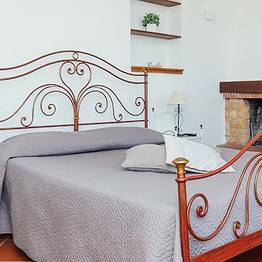 Villa Carolina has just five rooms: two standard rooms, a deluxe, a suite, and a small independent apartment perfect for travelling families. 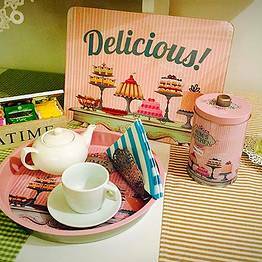 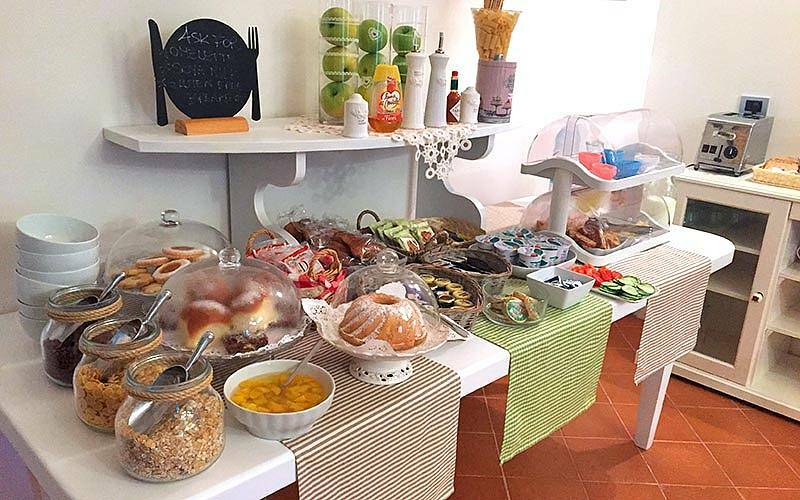 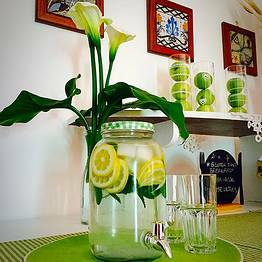 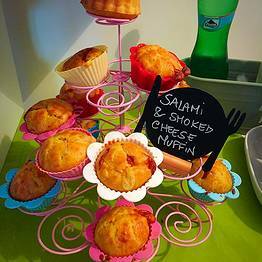 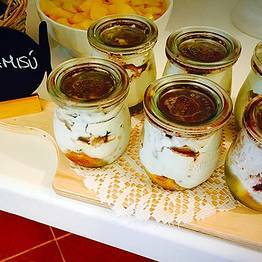 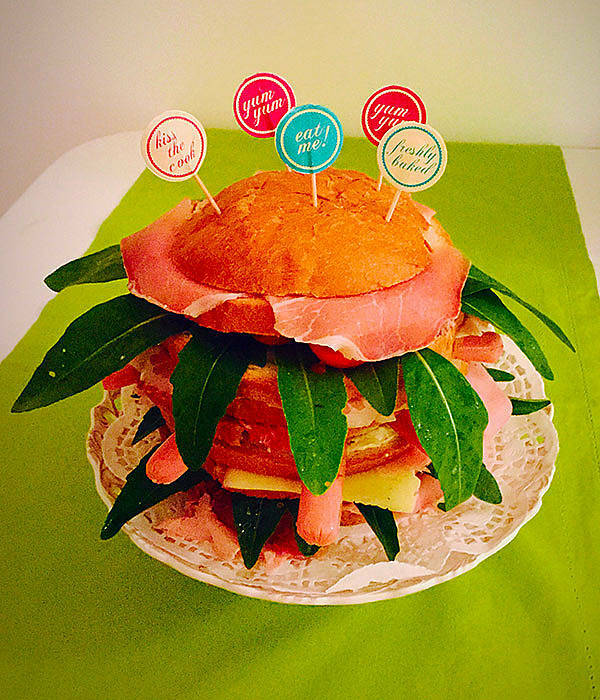 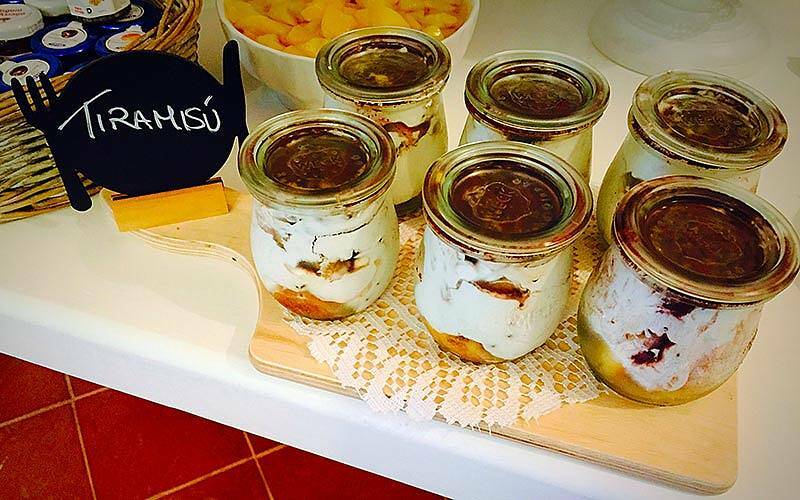 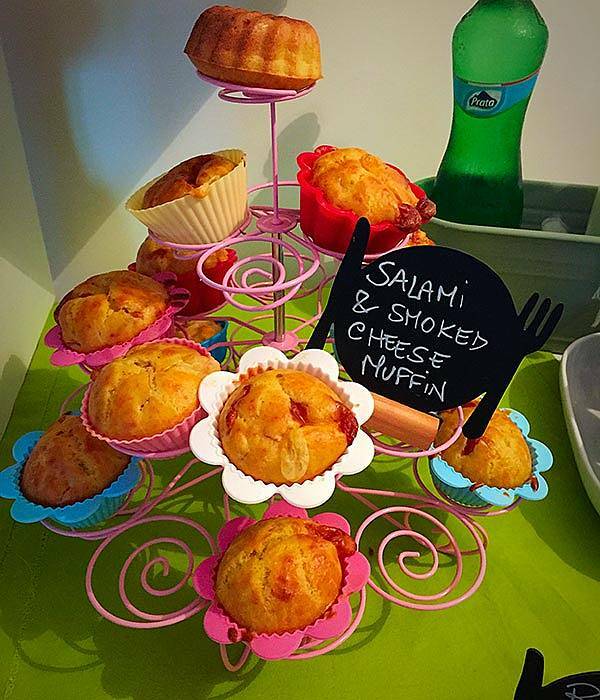 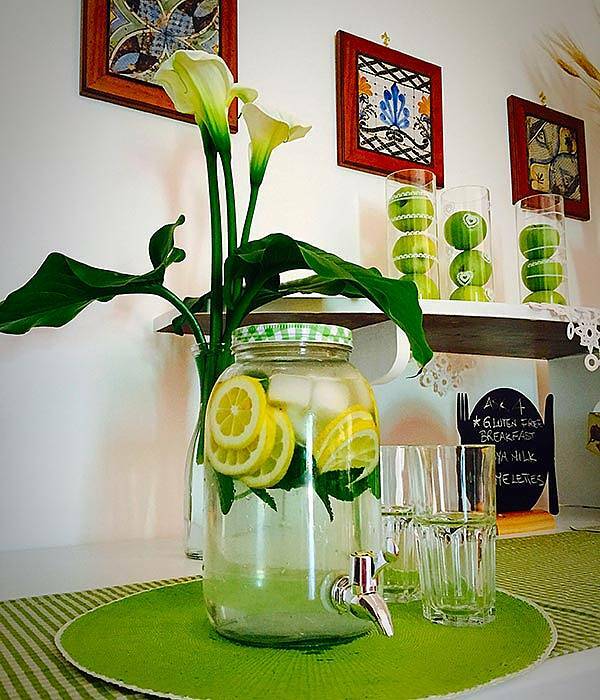 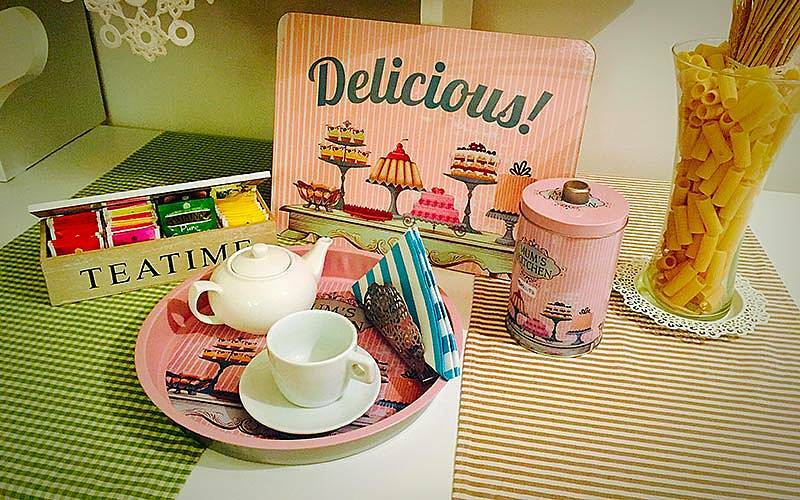 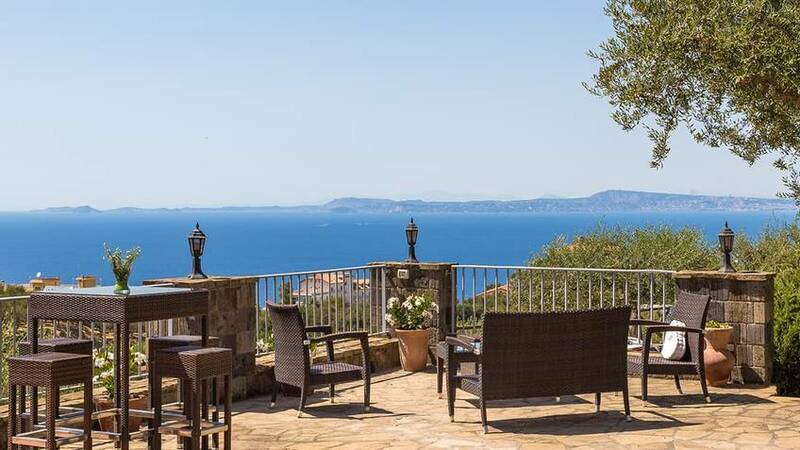 Your young hosts at Villa Carolina, Emanuela and Carlo, go above and beyond to welcome their guests with the warm Italian hospitality for which Sorrento is known. 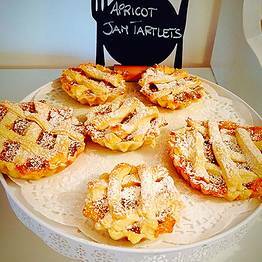 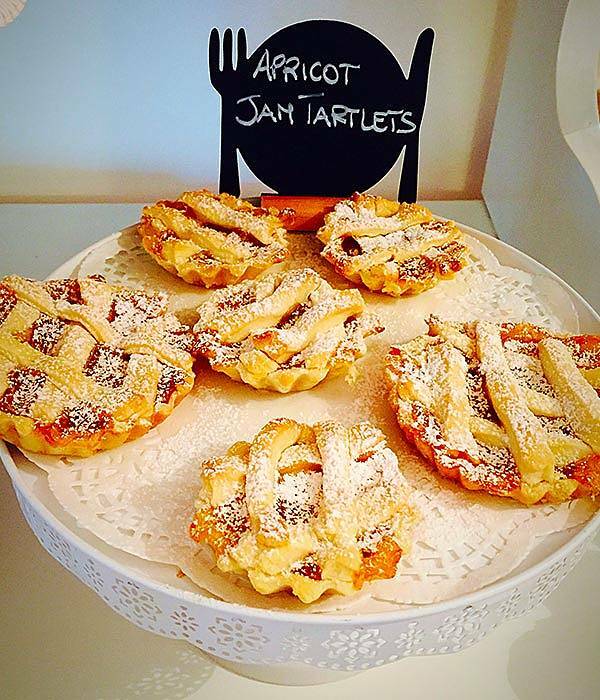 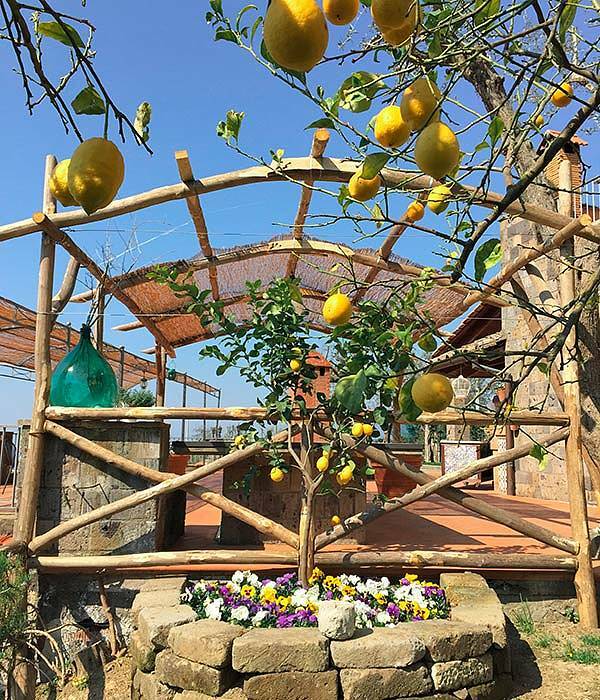 From breakfast, to cooking lessons, to guided walks and excursions...every experience is tailored to their guests' travel style and interests for an unforgettable visit. 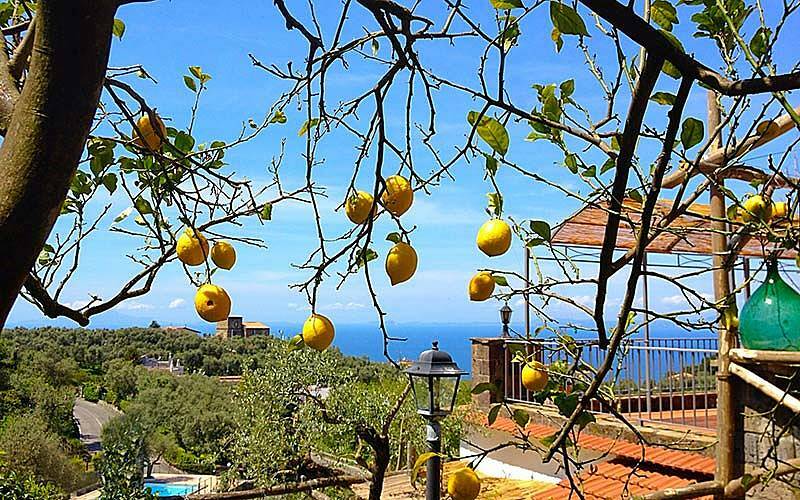 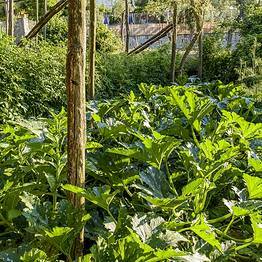 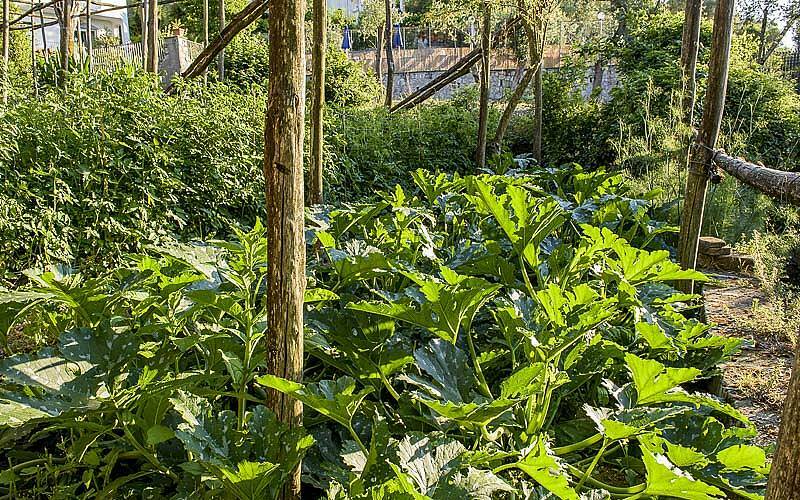 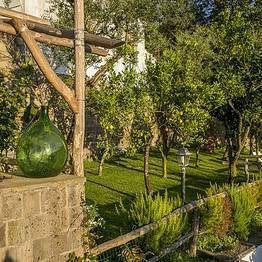 Emanuela can recommend the best day trips to nearby destinations, including Capri, Pompeii, and the Amalfi Coast, but what guests love most at Villa Carolina is simply relaxing in the garden while sipping a freshly squeezed juice from Sorrento's own citrus and cooling their heels in the small pool. 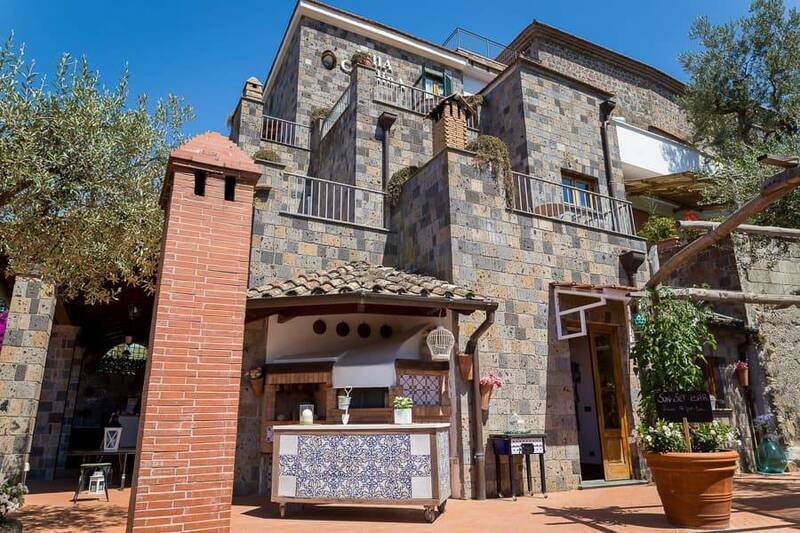 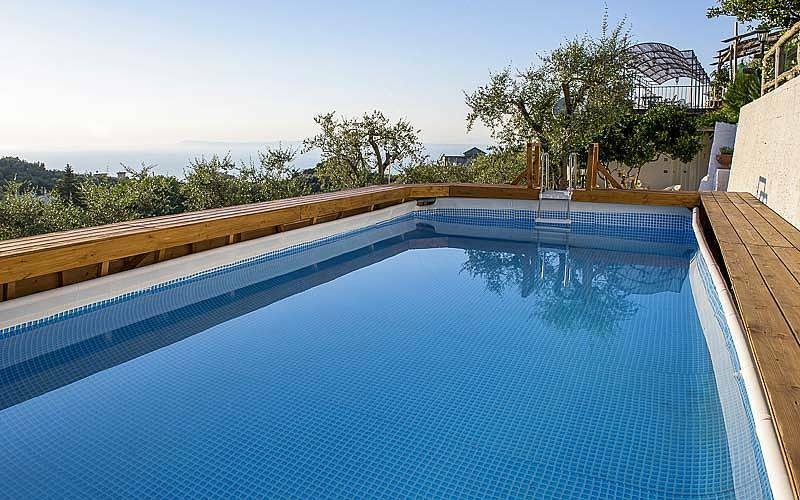 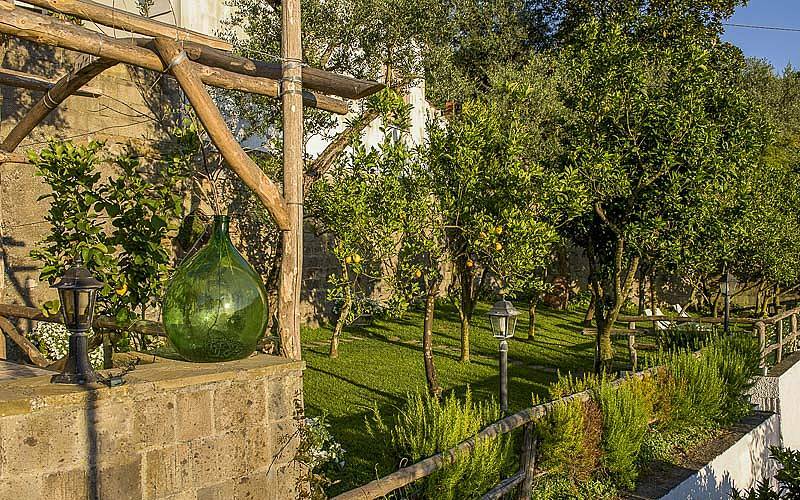 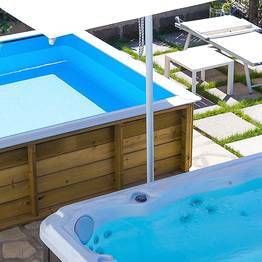 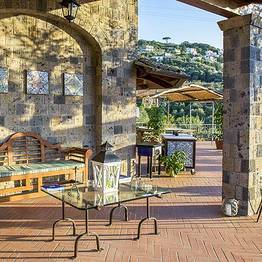 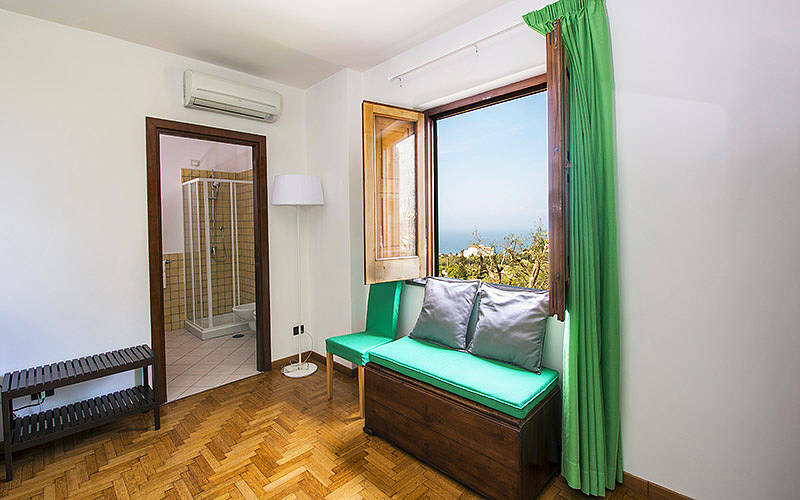 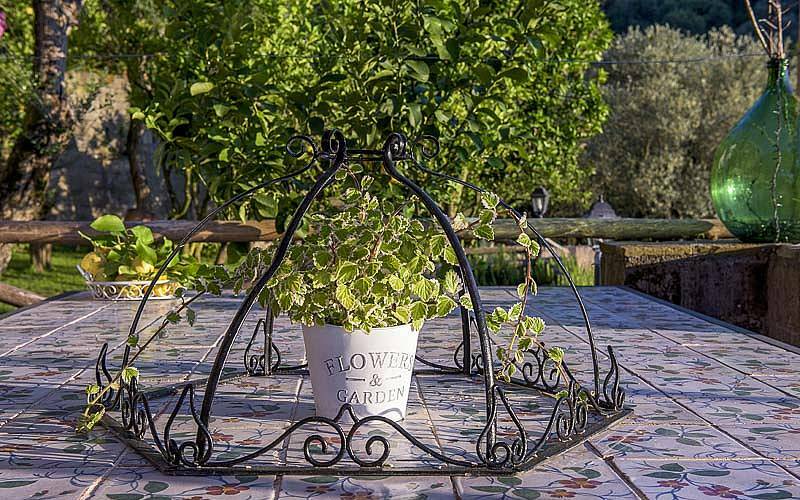 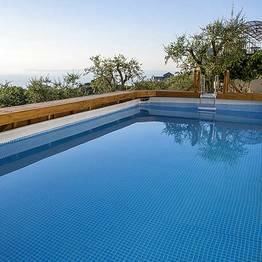 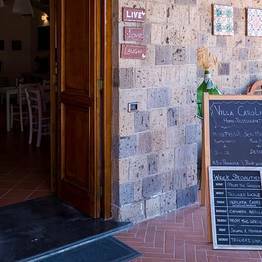 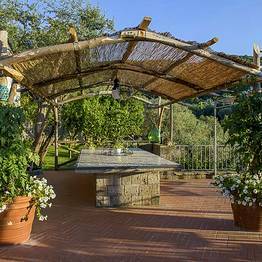 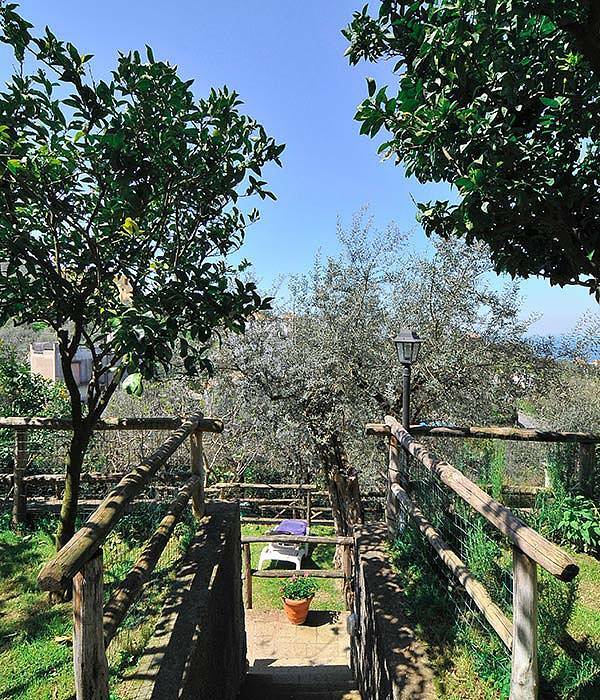 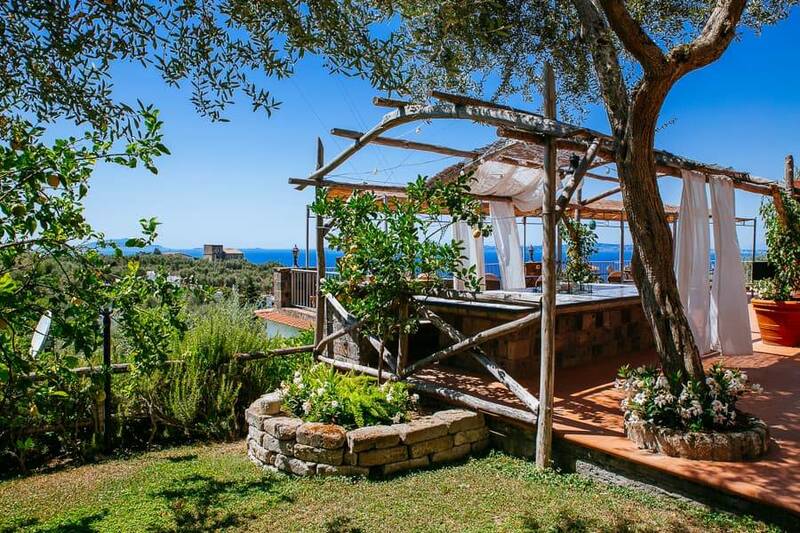 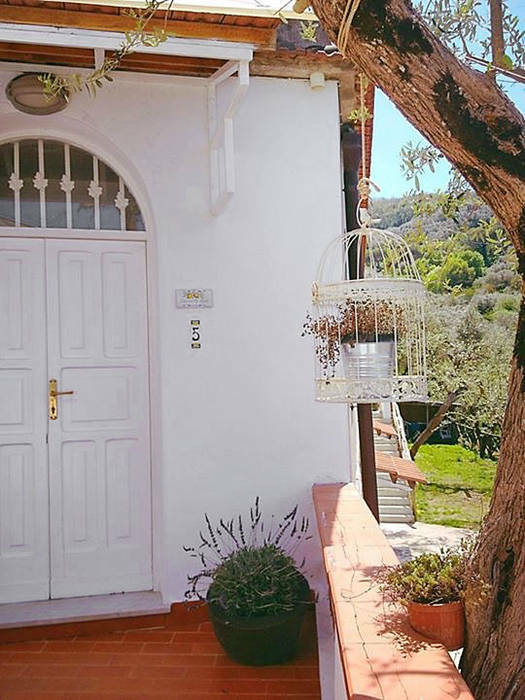 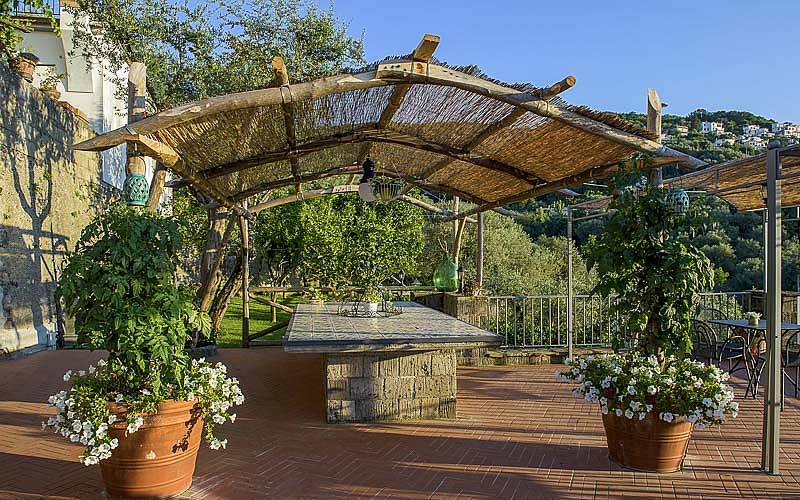 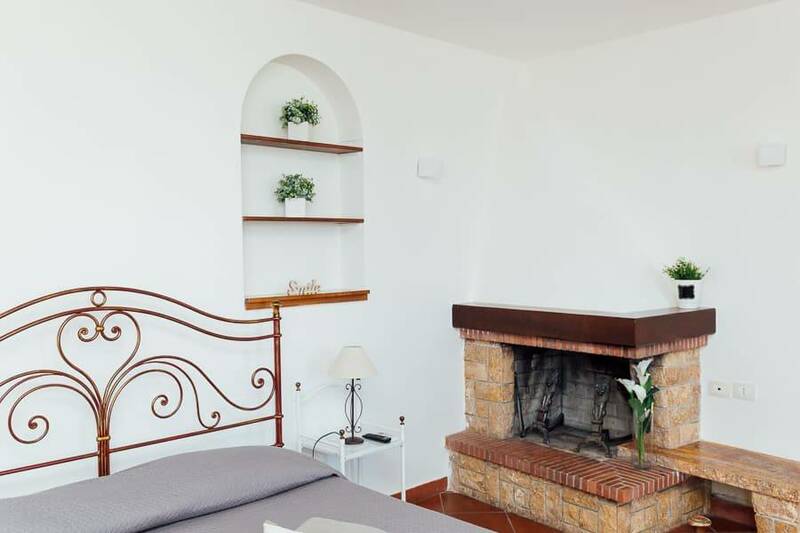 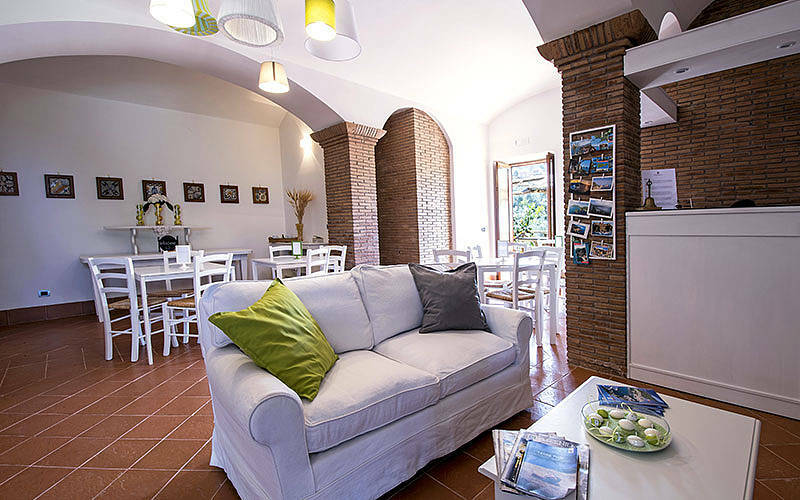 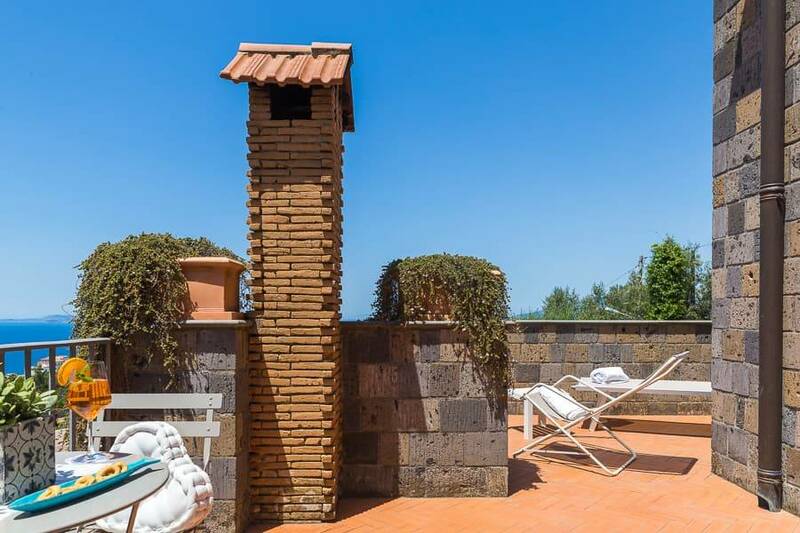 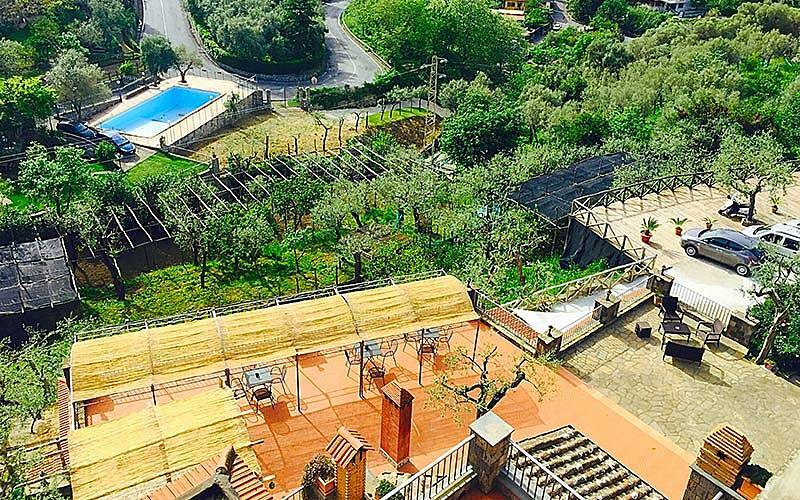 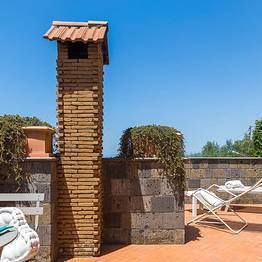 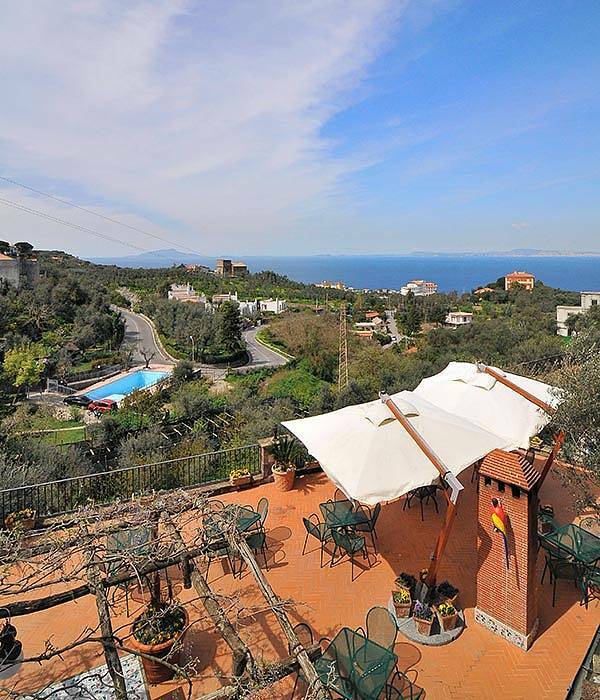 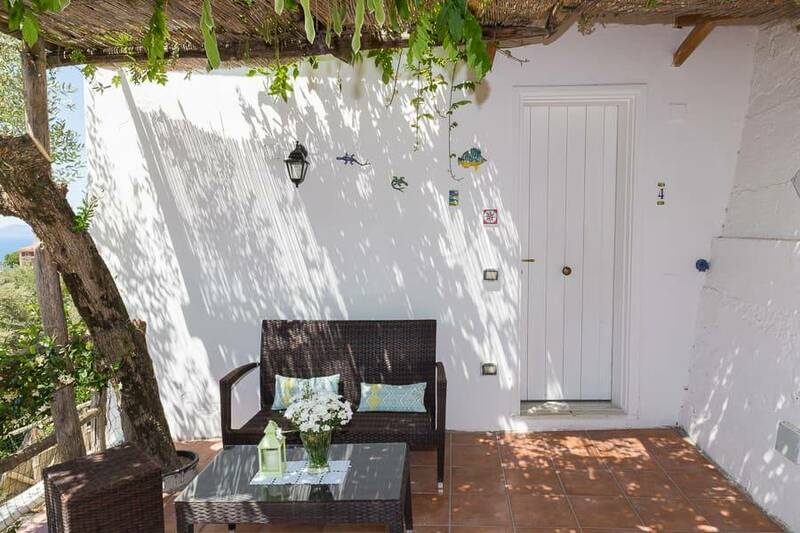 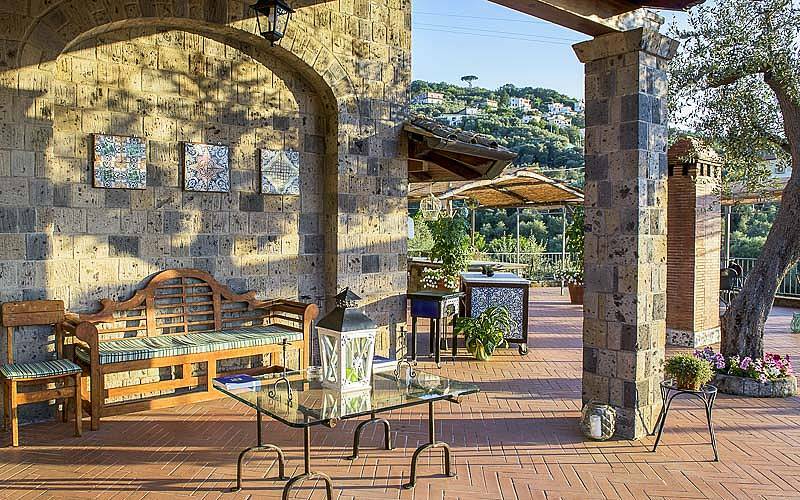 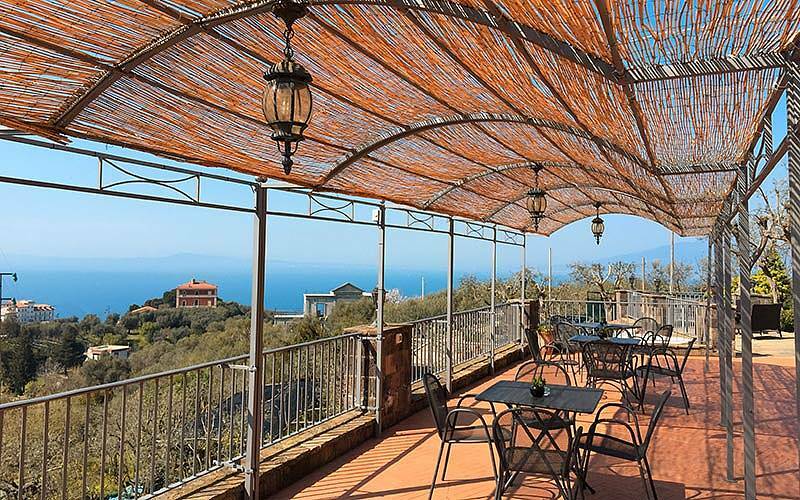 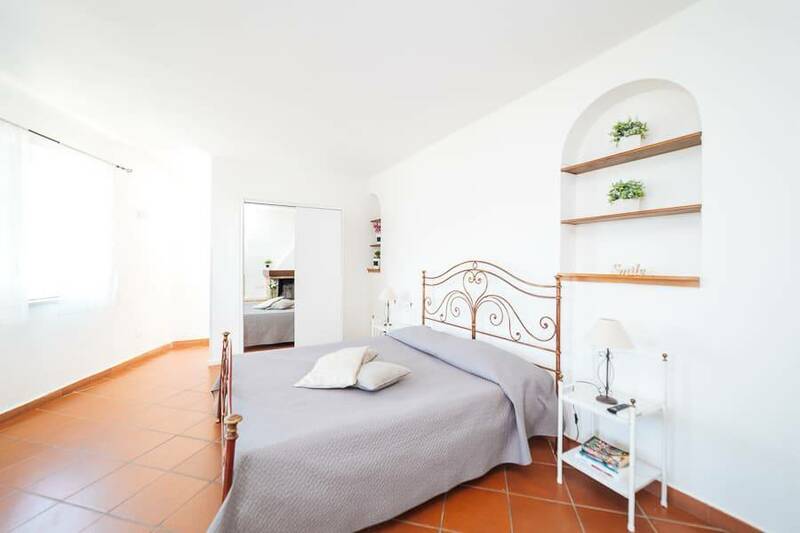 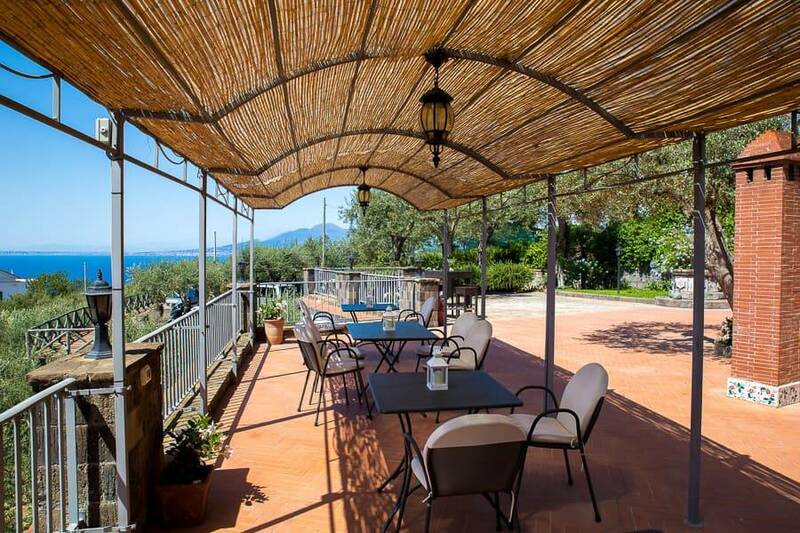 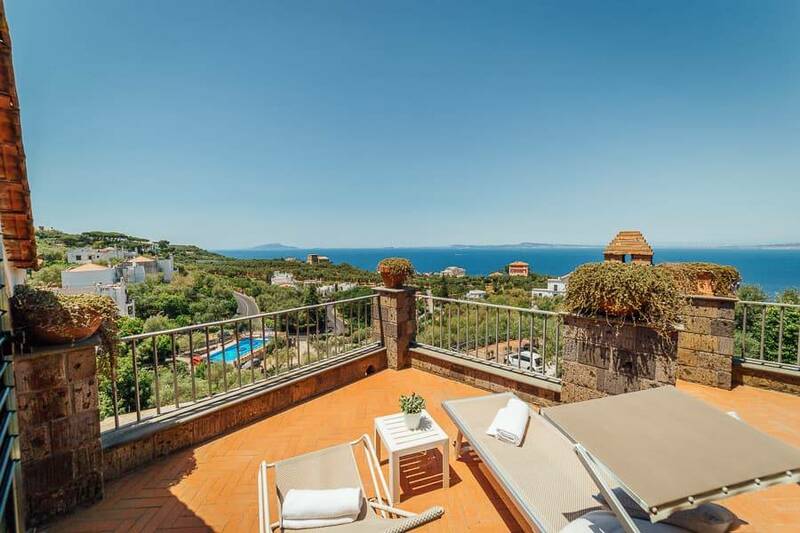 Villa Carolina is in Priora, a pretty hamlet tucked into the hills of Sorrento.The center of Sorrento is 4 kilometers away, and Villa Carolina offers a shuttle service for its guests. 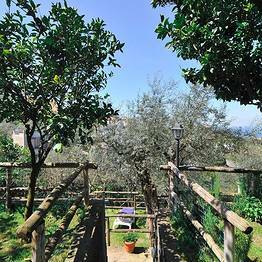 Otherwise, there is a pretty trail that leads to Sorrento in 15 minutes on foot. 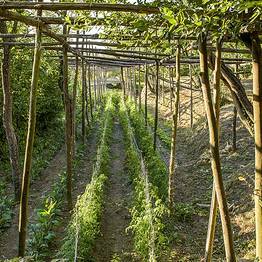 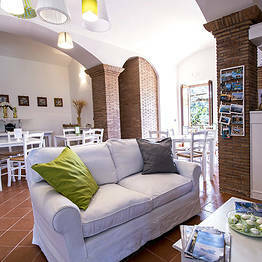 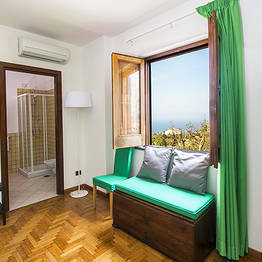 In the surrounding area, guests can visit the famed towns of the Amalfi Coast and the archaeological site of Pompeii.